Next Go4 AoV Cup Register Now! Go4ArenaOfValor Europe is a weekly 5on5 cup series with a €2250 prize pool monthly final at the end of each month. Go4ArenaOfValor Europe will feature a €700 prize pool every week. The top teams of each weekly tournament will receive Go4ArenaOfValor ranking points, which will earn them a better seed in upcoming Go4ArenaOfValor Europe tournaments and could possibly qualify for a slot in the Go4ArenaOfValor Europe Monthly Final! We've created a full how-to-play guide for easy signup and playing in out Go4ArenaOfValor cups! Check it out, signup for the next cup and start competing with the best teams and your chance to win your share of the €5000 prize pool in Europe's biggest cup series! 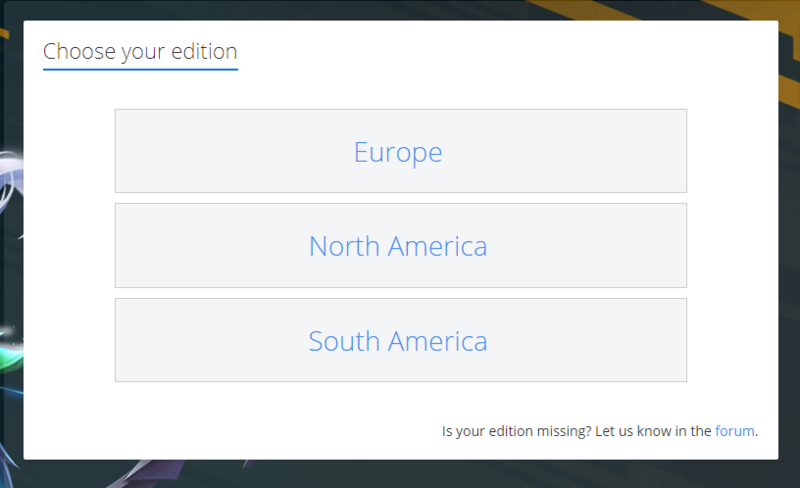 First, you need to select your edition and your region, once you done that, more info can be found here for detailed guides! Check out this awesome Go4 cup and join us now!